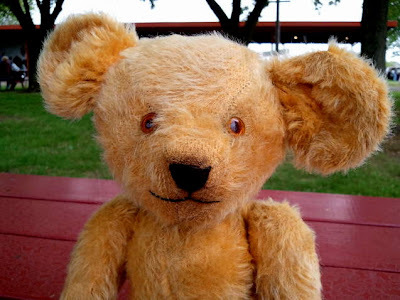 Just found this funny antique teddy bear at a weekend show. 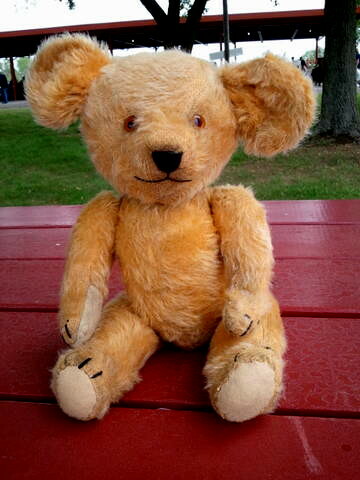 The 14 inch ted dates from the 1920s, and has some of the biggest ears I've ever seen on a bear. His comical face caught our attention from an aisle away, and he just seemed to be saying, "Please take me home." So of course we did.